The 2008 album from Matmos finds the dynamic duo taking a holiday from conceptual responsibility, skipping the sampling antics in favor of a lighthearted “cosmic pop” record made entirely out of synthesizers. 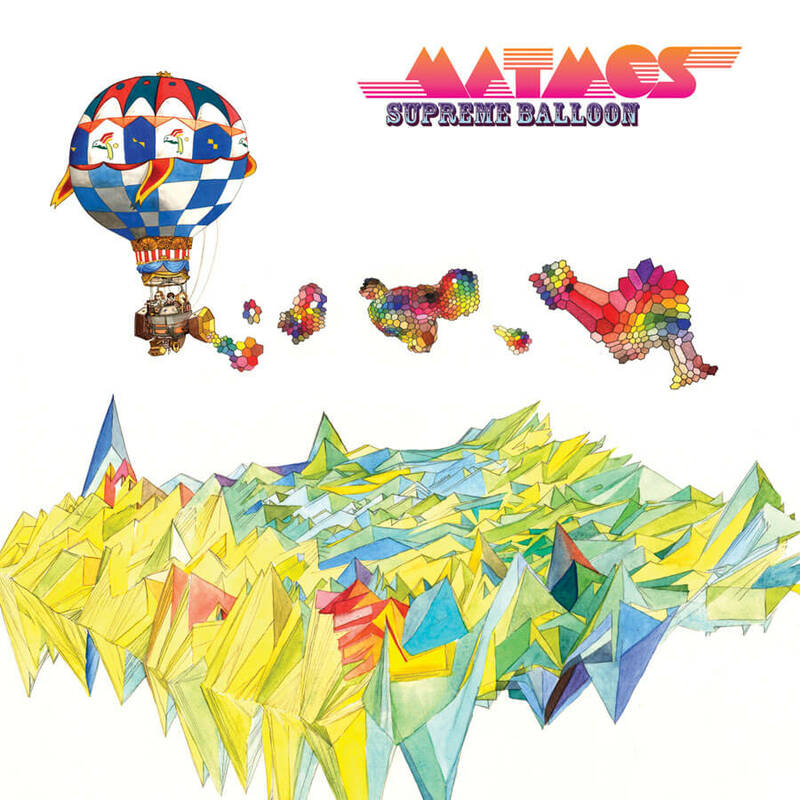 Leave it to Matmos to invent a hard and fast rule that they have to follow even when they’re just having fun: the creative restriction this time around is that Supreme Balloon is an ALL synthesizer album and no microphones were used at any point. We know you’re probably shaking your head and thinking to yourself, “an electronic band makes an all-electronic album? These guys must be CRAZY.” And you’d be right. Consider this revenge for all those Queen records whose liner notes said “And nobody played the synthesizer!”, and a sweet surprise from a truly unpredictable American band. Gear fetishists take note: the exotic and antiquated synths used on the record heavily spotlight the classic 60s/70s/80s consumer electronic rigs of Arp, Korg, Roland, Waldorf and Moog, and feature modular systems from Electro-Comp, Doepfer and Akai (hell, even a stylophone and a Suzuki Omnichord show up); these were recorded at home in San Francisco, California and in the SnowGhost studio at Whitefish, Montana. But there are also completely unique, one-of-a-kind modular curios present, such as the “Coupigny” modular synthesizer housed in the INA/GRM studios at Radio France in Paris and used extensively by some of the titans of musique-concrete. Guest players invited to the party include living treasure of American jazz Marshall Allen of the Sun Ra Arkestra (he plays the E.V.I. or Electronic Voice Instrument, a breath controlled oscillator, on “Mister Mouth”), Bay Area troublemakers Jon Leidecker (aka Wobbly), East Coast electroacoustic sages Jay Lesser and Keith Fullerton Whitman, and classically trained pianist Sarah Cahill. Previous post: Earles and Jensen Present – Just Farr A Laugh Vols. 1 & 2: The Greatest Prank Phone Calls Ever!